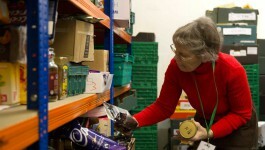 people to food banks – you can help end it. Sorry, your browser does not support the video tag. Please update your browser in order to see this video. Five weeks is too long to wait for Universal Credit. We need to end the wait. Find out more about Universal Credit and the five week wait. 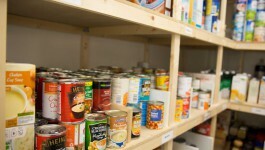 Number of food parcels given out across UK soars 73% in five years. Read Press Release. Get together with friends and family to support people struggling with poverty. Find out more. "The food bank gave me faith that there are people who understand." "Without the food bank, I don’t think I would be here today." "My life fell apart and ended with me having to get help from a food bank." From donating food, volunteering your time or taking on an fundraising challenge, there are lots of ways to get involved with raising awareness of poverty and helping end UK hunger. Our social enterprises provide valuable volunteering opportunities, whilst also helping to support our work. 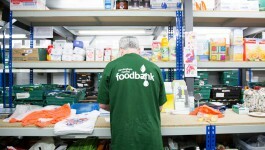 8 Mar 2019 Next week the Chancellor has the opportunity to reduce food bank use – will he take it?